Do you enjoy watering your lawn with your hose? Isn’t it annoying to set your sprinkler up, move it, and then turn it off and on to keep your lawn healthy and growing? Actually, you could be causing your lawn more harm than good. This leads to uneven watering. And if you’re not watering at the best times of day (early in the morning after the sun rises and during the late afternoon/early evening), you’re wasting water. It either gets evaporated by the sun, never reaching your grass. Or, it pools somewhere in your lawn, which can cause fungi to grow and disease to spread. In both cases, you’ll need to use costly lawn treatments to restore the health of your lawn. 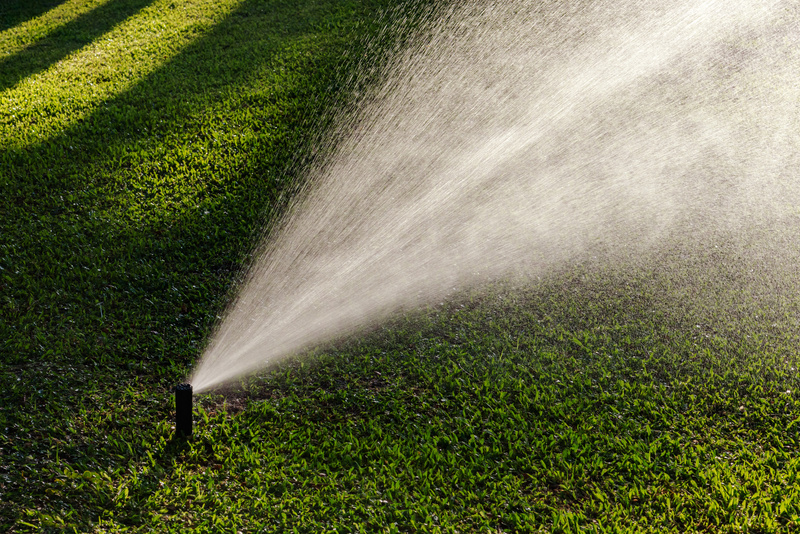 Some homeowners hesitate a little when considering an irrigation system installation. The cost generally runs around $3500. But when all is said and done, most of them wonder why they didn’t invest in a lawn irrigation system sooner. * 100% coverage – Your lawn won’t experience an unexpected outbreak of disease or any dry brown spots. It stays green and healthy all year long. Why Hire Aquamax to Install Your Irrigation System? A number of companies serve Frisco, TX and the entire DFW metroplex. You could choose any one of them to do your work. * We guarantee 100% coverage. A guarantee is only as good as the company that makes the claim. You will not find any brown spots or lawn diseases later on after we install your irrigation system. To make this happen, our licensed irrigation system installation technicians visit your home and measure its dimensions and configuration. This information is then transferred to a computer, where we develop a precision drawing that shows the right water pressure, hydraulic calculations, and sprinkler head spacing for your lawn and garden. * Water-efficient designs. Aquamax is a Rainbird Select Contractor. To win this honor, you have to conduct your business with a high level of integrity and design highly water-efficient sprinkler systems. While we repair all brands from every leading manufacturer, all new irrigation and sprinkler system installations we perform are done with Rain Bird products and are designed to use the least amount of water needed to keep your lawn healthy. * We help you save money and avoid costly repairs by using only the best parts. Rain Bird is the leading manufacturer of quality, durable, and efficient sprinkler system parts. No other company even comes close. Their MPR sprinkler nozzle, for example, is 30% more water-efficient than the next leading nozzle. * Our installations eliminate leaks and frozen pipes. Every new irrigation system installation comes with a master valve. This takes most of the water pressure off the main line, which eliminates leaks. During the cooler winter months, this removes almost all water from the main line, so there’s not enough water in there to freeze and burst your pipes. * You get a 3-year warranty on all installations. This covers both parts and labor. We’ll cover anything within our area of responsibility. * No mess left behind. After every irrigation system installation, we clean your yard, garden, lawn, and driveway. All trenches get filled. We leave your home better than you found it. * Competitive pricing. Yes, you can find other companies who install irrigation systems at a cheaper price. While price is important, don’t make it your primary concern. The truth is if you go with the lowest bidder, they have to cut corners with part quality and their level of service. You’ll have to call them to make more repairs in the future. Their irrigation system may not be designed to be as water-efficient as possible. They may quickly hire subcontractors to help them perform the installation. By spending more up-front, you save more over the long-term. Think of it like you would buying a cheap, old car versus buying a newer, well-cared for one. It’s always been our aim to provide the highest quality of service and best installations for our customers. It’s the main reason we’ve been able to remain in business since 1998. That attitude helps us routinely win many awards. You cannot win these awards by knowing the right people or being the winner of a contest. Instead, the award-givers contact your customers directly, and get their feedback. What they say then gets scored. Finally, awards are given to the businesses with the best overall scores. Get Your FREE Drip, Sprinkler, & Irrigation System Installation Estimate Today! We serve Frisco and the entire DFW metroplex. All quotes on new irrigation system installations are FREE. We do charge to quote for repairs, but the cost of the quote gets applied toward the cost of the repair if you have us to the work. Don’t forget to check our website monthly to discover all the newest specials. If you’re interested in learning more about our company and Rain Bird, check out the videos below.